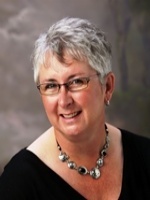 Sherry Levesque was licensed as a REALTOR in January 2005 after spending over 21 years in the Canadian Forces as an Air Traffic Controller. She was stationed in Shearwater Nova Scotia, St Jean-sur-Richelieu Quebec, and most recently here in Cold Lake. Sherry also completed a peace keeping tour in Egypt with the Multinational Force and Observers. Sherry, her husband Dan and two children, Lauren and Steven, have chosen Cold Lake as their home because of their interest in the outdoors. When not selling homes, Sherry enjoys fishing for Walleye on the many lakes that the area has to offer or quading with her family through the numerous wooded trails.Sherry completed her Real Estate training in the fall of 2004 and received her license in January of 2005. She is happy to serve her clients in both English and French and enjoys meeting new people.